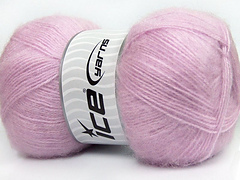 I ordered some ICE yarn from Turkey and the shipping was very quick, only took about 3 days, but the shipping cost is about the same as the yarn. 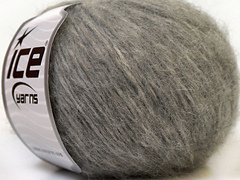 I got the Angora Classic (below) and it is 70% angora and 30% acrylic. It's rougher than other angora yarn, hope it softens up with washing. I also bought Royal Baby Alpaca Flamme it's 110 yards for 50 grams and seems thinner than most worsted but very soft. The thickness of the yarn is slightly uneven and very fluffy. This would be good for for next to skin use.